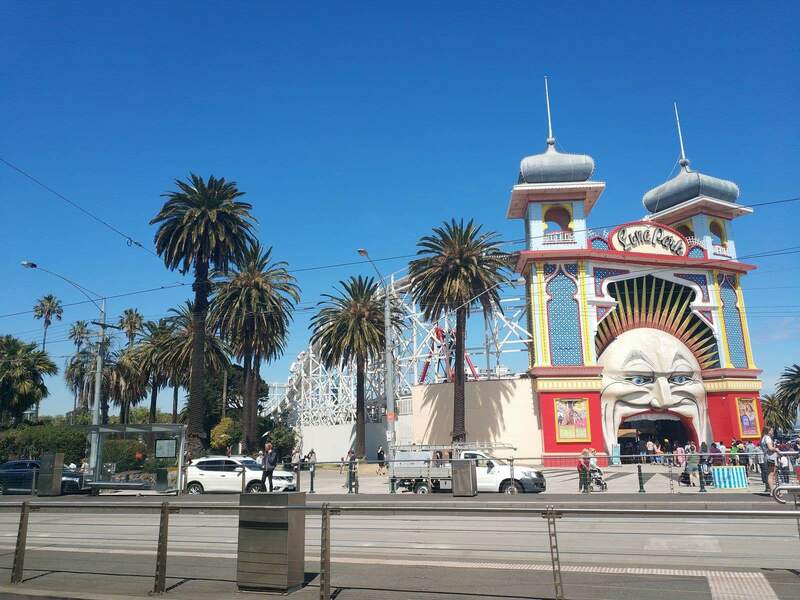 Luna Park is a amusement park located in St. Kilda, just 4 kilometres from the Melbourne CBD. 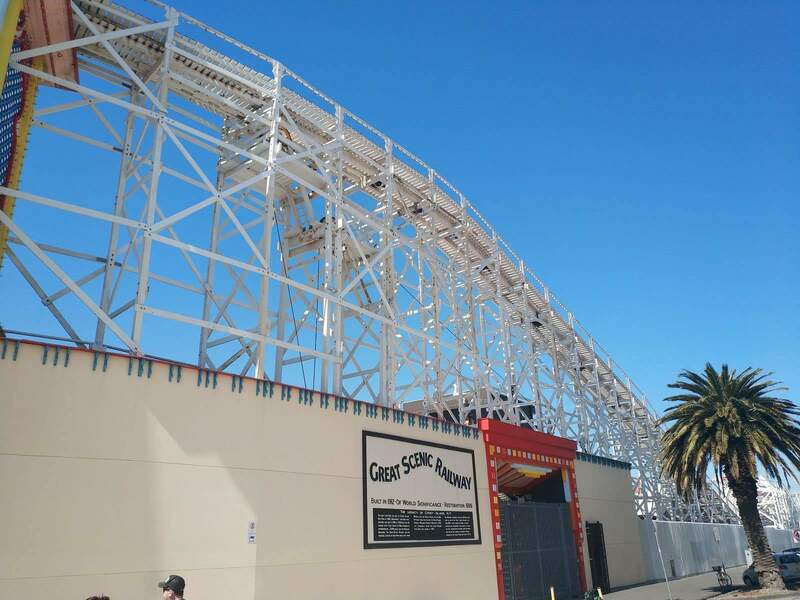 This historic park opened in 1912 and has been running ever since. 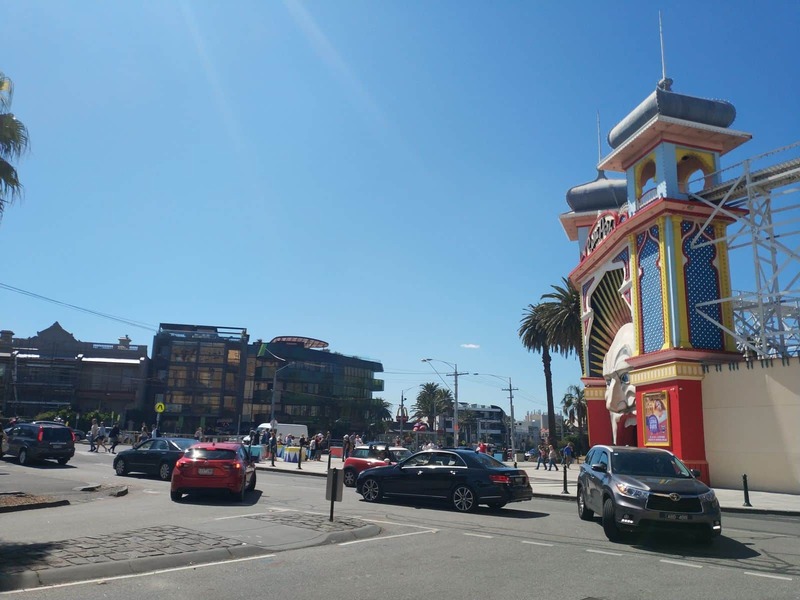 If you take a trip down to St. Kilda beach, make sure you stop by Luna Park with your friends and family and check out the many games and rides. Open weekends, Victorian school holidays & public holidays. Closed on weekdays during the school term. Hi, Are all the rides for children that require an adult $10.95 each? So yes, if an adult is going on a ride with a child, it will be $10.95 each. Is a sibling that has an unlimited ride pass allowed to go on with a 2.5yo ? 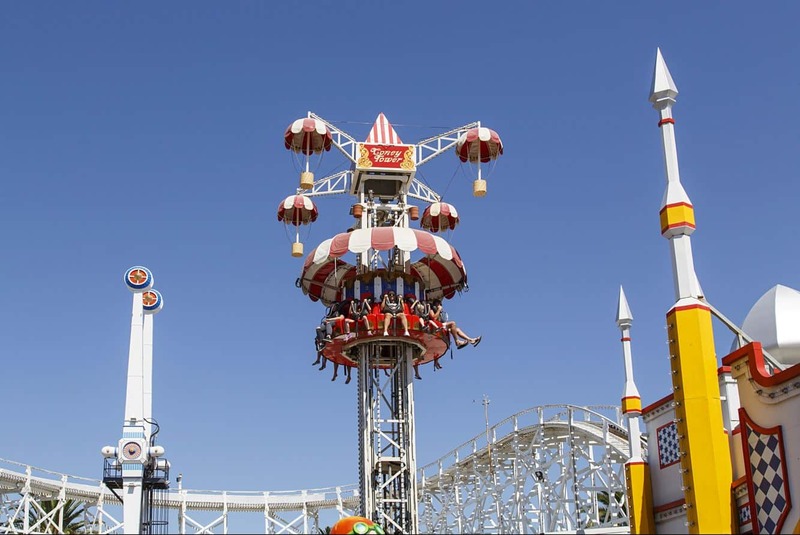 It does appear to be a case by case basis when it comes to the rides – be that the ride restrictions are based on heights. 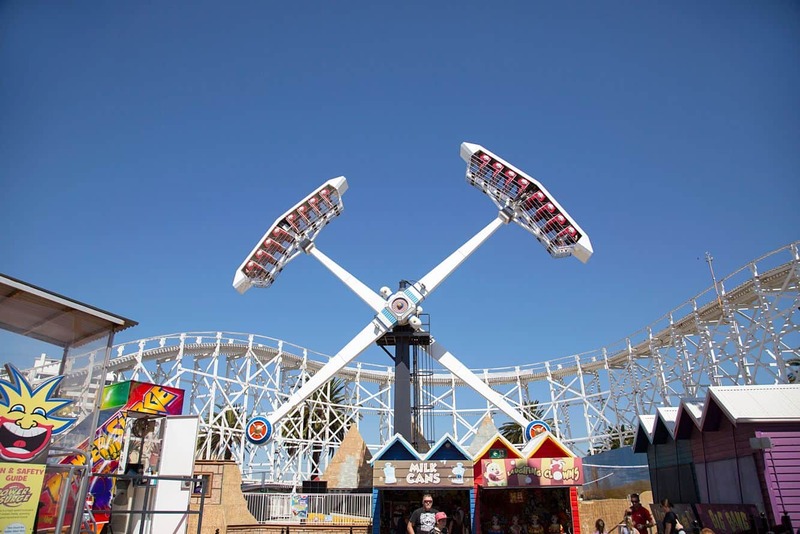 Try putting your child’s height into the filter on https://lunapark.com.au/rides/rides-attractions/ and then it will list which rides they are allowed to ride on. There it mentions what rides they can rides by themselves or with another. 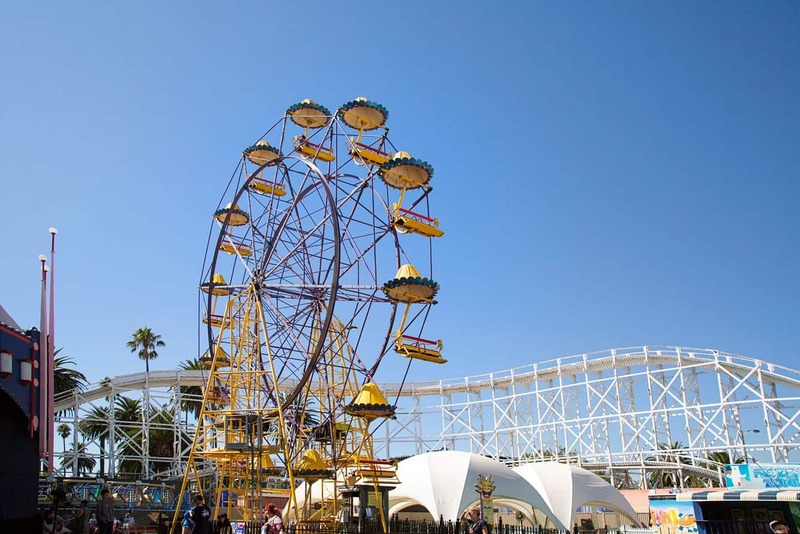 Unfortunately, for rides where they need to ride with someone, it does state that “children must be accompanied by a ticket holding adult”, so having a sibling may not be sufficient. 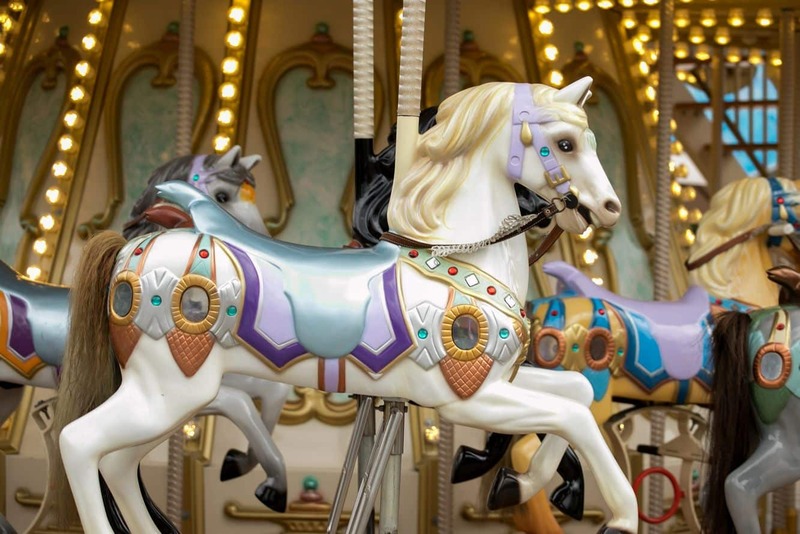 If your child is under 90cm, they will only be allowed to ride around 2 rides without an adult. Hello, we are planning to go tomorrow (Labour Day). 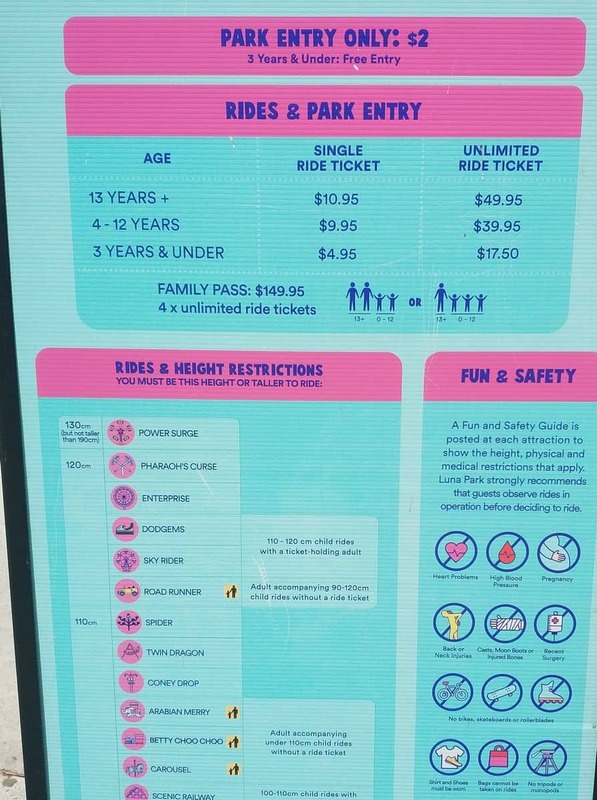 We are going to purchase unlimited rides, but my concern is the allowed height to ride all the rides? I checked the information but I don’t read about height allowed. 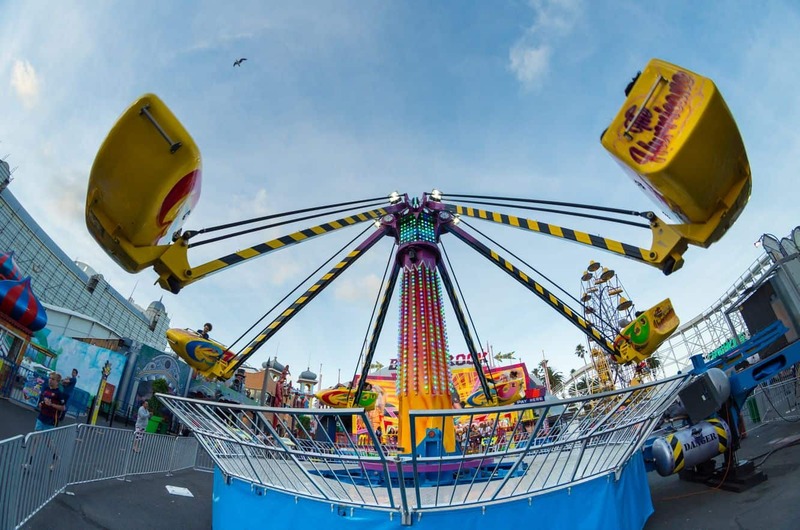 All the rides have a minimum height restriction and in some cases a maximum height restriction. You need to view the individual rides for these specific restrictions. Click the link here and check through each of the individual rides. The height restrictions are noted on the left hand side. 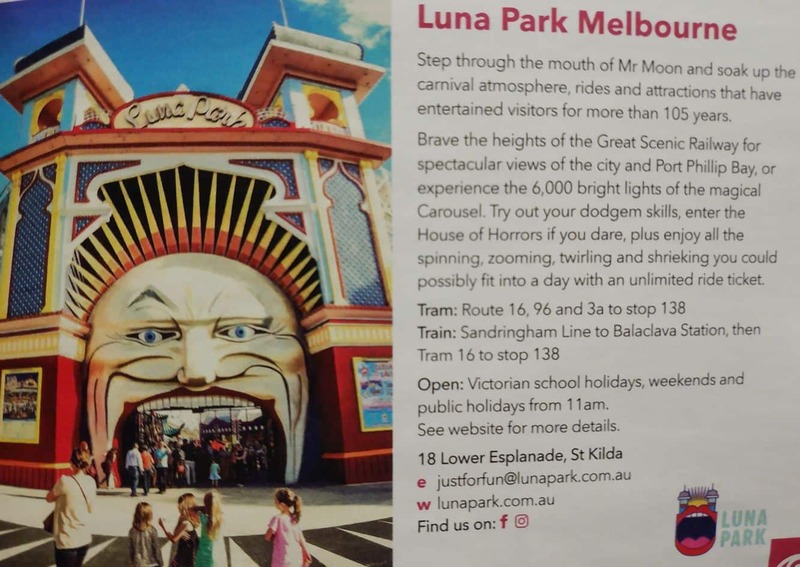 We want to visit Luna park on Saturday, 3rd Dec. What time will it open? We are 4 adults and two kids (3.5 years & 7 years). Is there any family pass for this combo? Can you easily get tickets there on spot, or do you have to buy online beforehand? 2. If you buy your tickets separately (4ad, 1ch, 1 toddler) the cost will be $257.25 for unlimited rides. Therefore, you are best to buy a Family Pass (2Ad + 2Ch) = $149.95 and add two additional adults = $42.45 each. Total will be $234.85. 3. You don’t need to buy tickets online beforehand, you can buy them at the door. However, if you do want to buy tickets in advance, you can do so here. 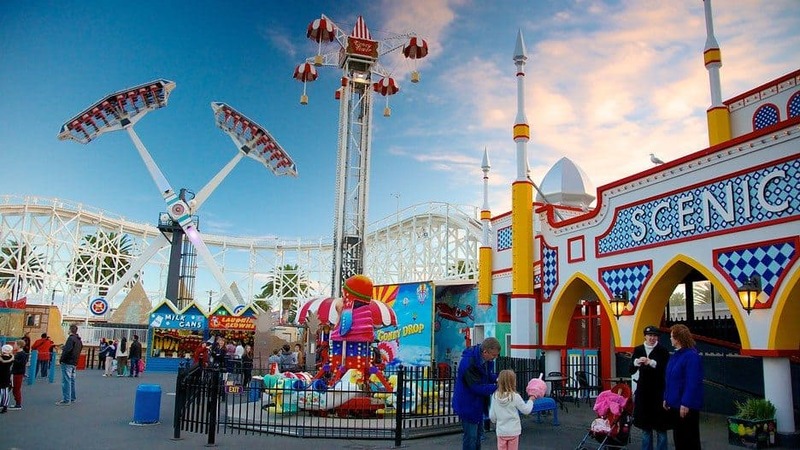 We are over from south Australia and have always wanted to go to Luna Park. Are you open? 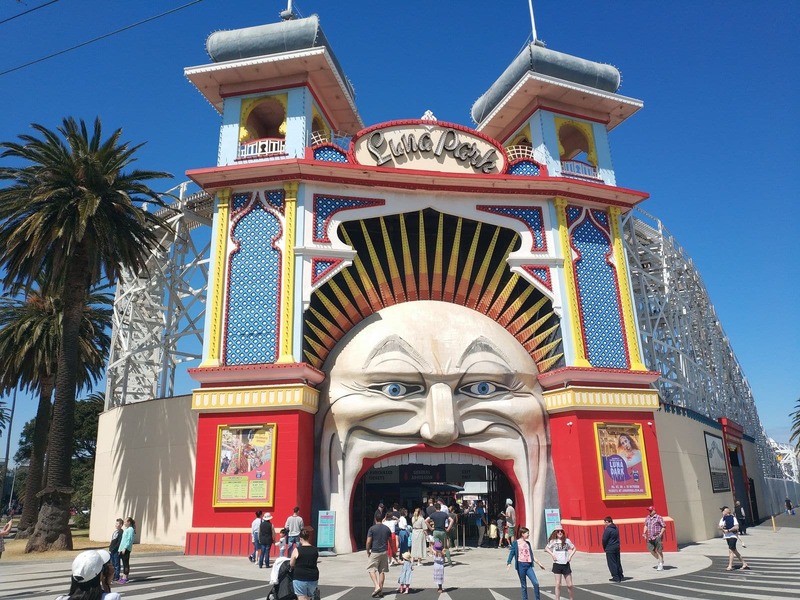 Luna Park is open on weekends, Victorian school holidays and public holidays (except Christmas Day). 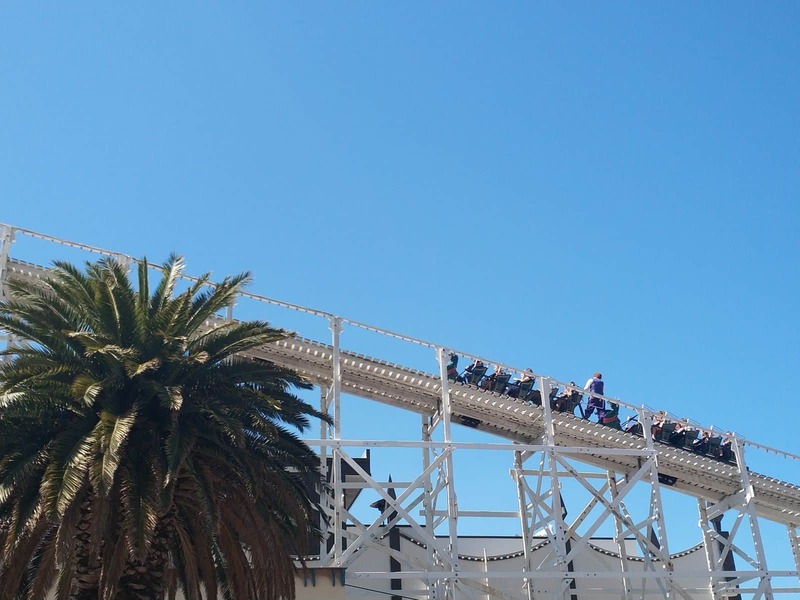 The Victorian school term is currently running, so Luna Park is not currently open during the week. It is currently open on Friday evenings between 7pm-11pm and will open this Saturday and Sunday between 11am – 5pm. 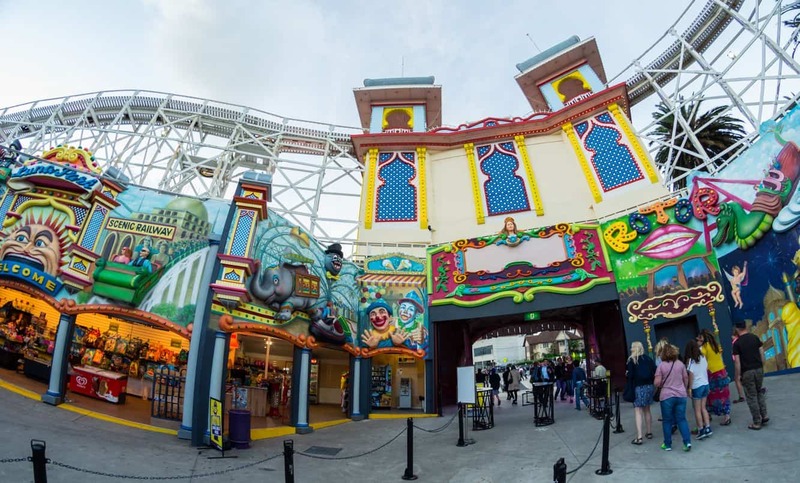 There are also special Halloween events at Luna Park on the 29th and 30th of October where the park will open between 7pm and midnight for some after dark Halloween fun! Is there a family pass for 4 kids with 1 parent that isn’t going on any rides? 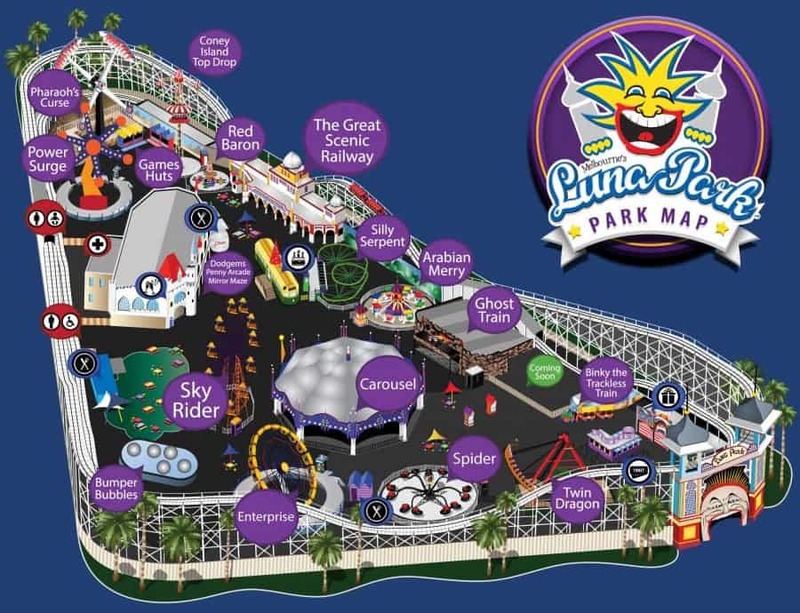 Admission to Luna Park is free, so if there is an adult who is not riding, you do not need to purchase a ticket to gain entry. There is no discount for 4 kids tickets, so you will just need to purchase 4 kids tickets separately. 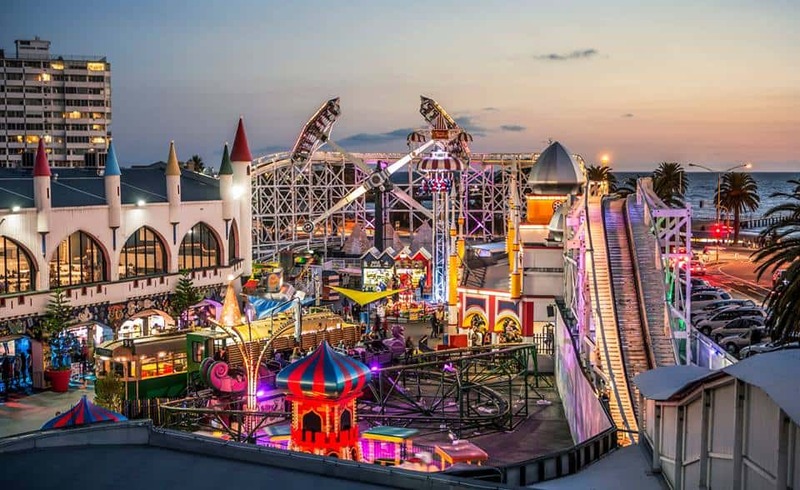 Hi, I wish to to Visit Luna Park and I would like to know more about the costs from 4 adults and 2 children under 8yrs and what kids rides does its includes for that! 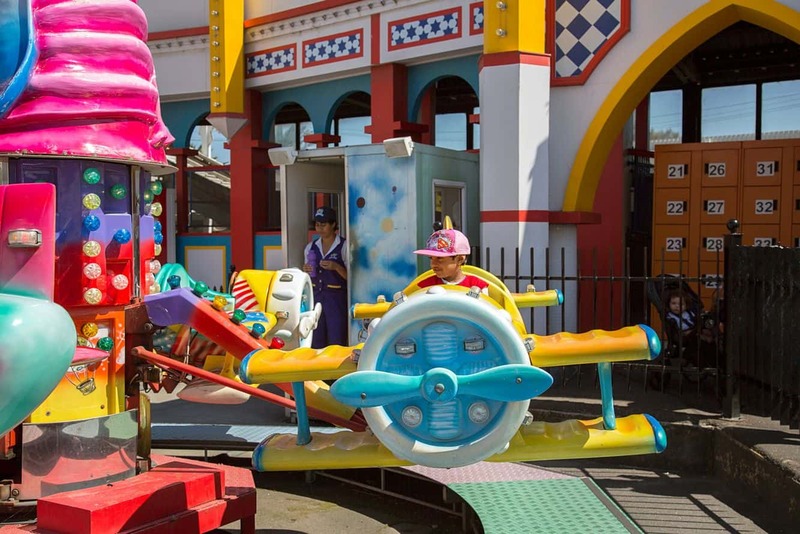 The price of entry to Luna Park is free so you just pay for the rides that you want to go on. 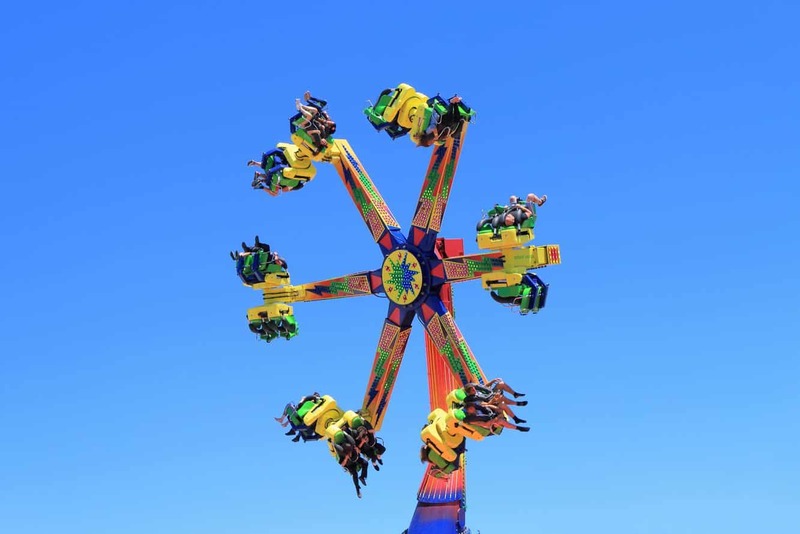 Check out the link here for a full list of all the rides. 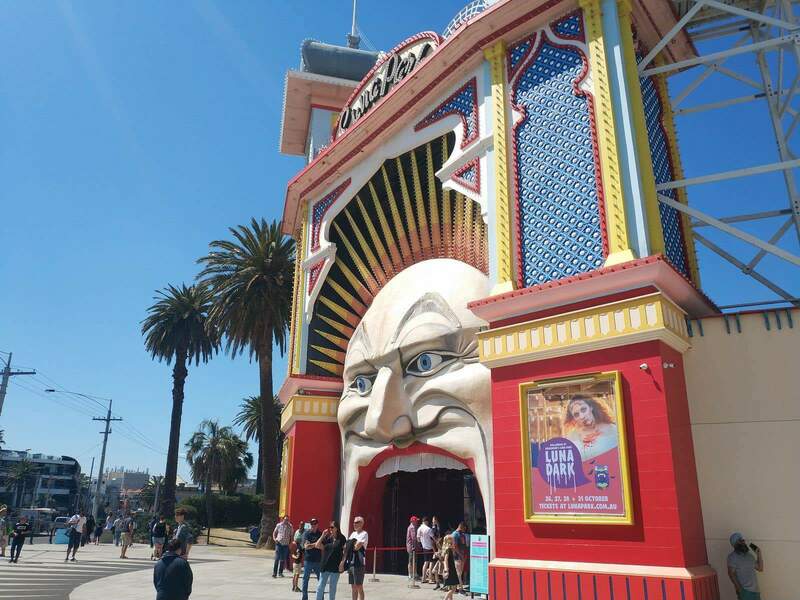 Have a great time at Luna Park. Do you have a family pass for 2 adults and 1 child? If so how much? No, there is no ride pass for 2Ad + 1Ch. So in your case it is cheapest if you just buy the individual tickets (which total $132.50) as the family passes on offer are $149.95. Hi, my friend and I would like to go to Luna Park for the day how much is it for unlimited rides? The prices are posted on our page, but have included them here for you. 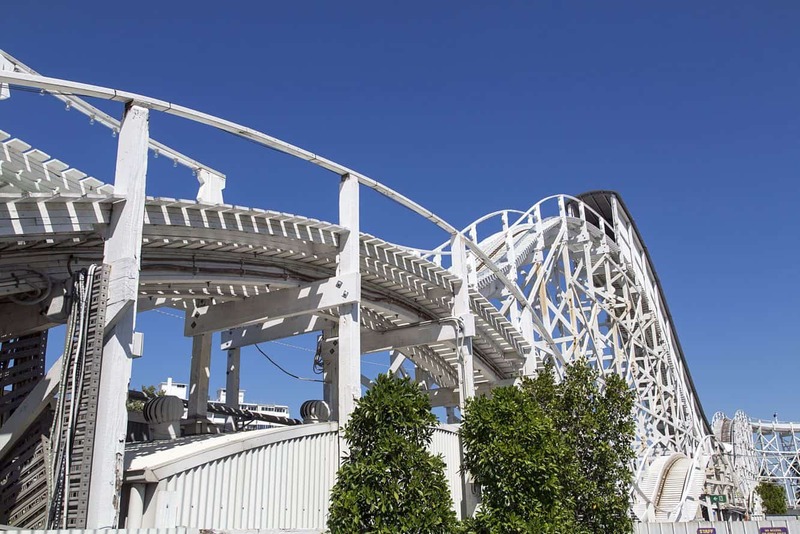 Do you have to buy unlimited rides, or can you buy rides as you go? You can buy the rides as you go. 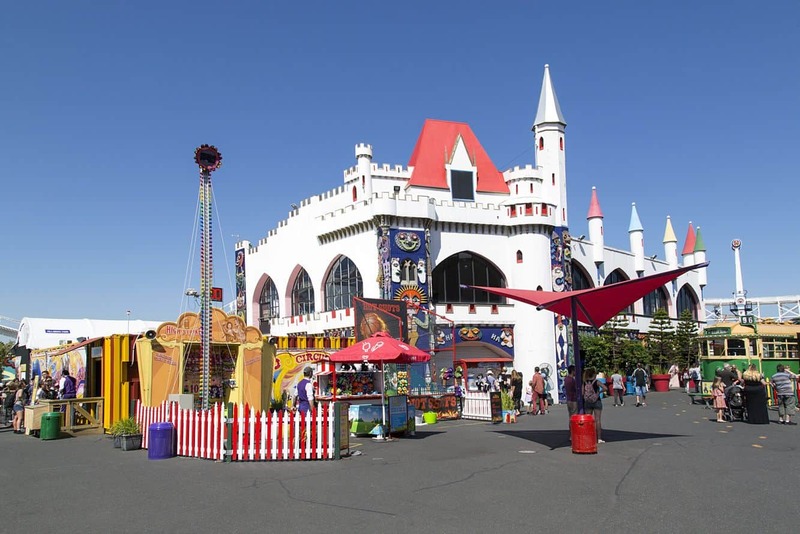 Tickets for children are around $9 per ride and for adults are $11 per ride. What are the prices for the limited rides tickets? 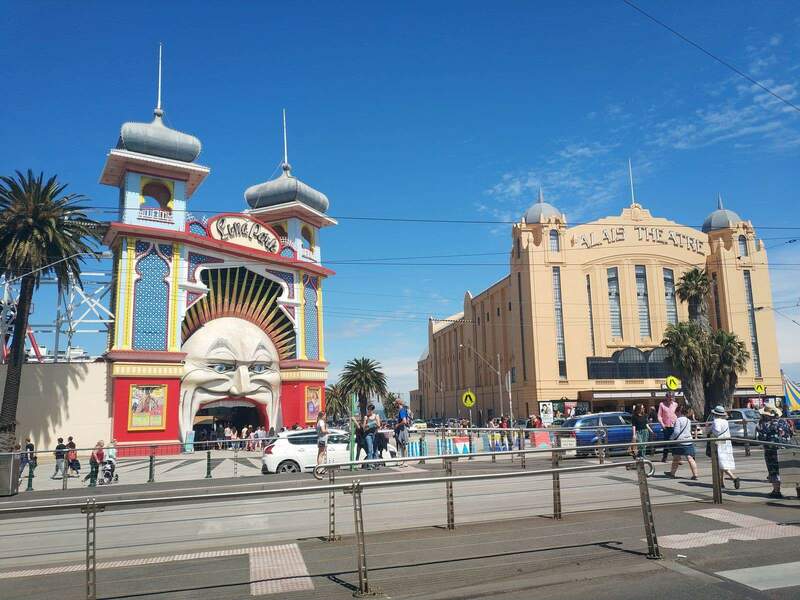 Have a great time at Luna Park Melbourne!